When you think of losing weight, you probably don't expect the ability to keep particular food items as part of your daily regime. 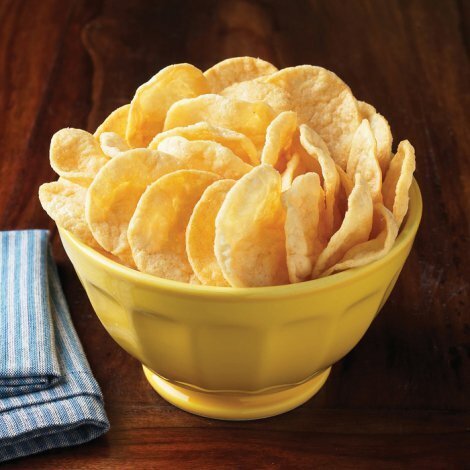 Potato chips are most likely one of those items you would never even imagine being able to enjoy on your diet. NutriWise Protein Chips are a game changer in that aspect. With only 130 calories per bag and 10 grams of high quality protein, you can enjoy the crisp, salty satisfaction of potato chips at any time of the day. With this 80 count box you will be stocked and ready without having to order frequently. If you have any questions about this product by NutriWise, contact us by completing and submitting the form below. If you are looking for a specif part number, please include it with your message. Nutrisystem? nutricrushTM Chocolate Peanut Butter Bars, 30 count by Nutrisystem?